Once you rent a great RV rental for us then you are ready to start your Washington to Oregon loop road trip. You’ve rented your RV but you can’t start your RV rental road trip in Seattle without a great cup of coffee. Here’s a list of some of the best coffee shops in Seattle. Space Needle. From the observation wheel you can see the Cascade Mountains and even Mt. Rainier. Seattle Great Wheel. Get a view of the city from the 175 ft ferris wheel at Pier 57. Pike Place Market. This iconic market features 200+ vendors and street performers. Seattle Aquarium. Watch the sea otters play and touch sea anemones. Museum of Flight. An air and space museum with a NASA flight simulator. Discovery Park. Get away from the hustle and bustle of the city at Seattle’s largest public park. Follow miles of hiking trails through forests, meadows, and beaches to views of the Sound. The first stop on our RV rental road trip is Mt Rainier National Park. Mt Rainier is the highest mountain in the Cascade Mountain Range and has the most glaciated area in the continental United States making it a must-see. From Seattle you can take WA-161, which will joins WA-7 and then, turn onto US-12 E.
This area has too many wonderful RV campsites to choose from both outside and inside the park. A few notable options ideal for RV’s are The Arboretum, where you can have the unique experience of camping on a christmas tree farm or for another remote and quiet option Bumps & Bruzas Riverfront is a very simple property on the Carbon River with no hook up and only 7 sites making it the perfect place to relax and unplug (Max 40 ft RVs). Mt. St. Helens erupted in 1980 and devastated the landscape, but almost 40 years later it has been a true testament of nature’s resilience. Today you will experience a vibrant thriving ecosystem. Spend the night at Seaquest State Park, a 505 acre park that is connected to the Mount St. Helens Visitors Centre by a pedestrians tunnel. The visitors centre is an attraction of its own where you can learn about the historical significance of the landscape and the resilience of surrounding ecosystems through talks, exhibits, and films. The campsite also has a boardwalk around the wetlands where you can enjoy stunning volcano views. There are a variety of different hikes to enjoy here for all skill levels. Here is a link to 16 of the best trails to explore. If you are especially ambitious and organized you can buy a permit to hike to the summit which go on sale each February. It can be a challenging hike with some scree, bouldering, ash, and possible snow, so come prepared for the weather. Next stop of our RV rental road trip is Mt Hood. Stay at Trillium Lake Campground, located at the base of Mt Hood, in the beautiful Mount Hood National Forest. This campground offers unparalleled views of the summit. There is a very friendly atmosphere and it is a great spot for swimming, hiking, biking, or non-motorized boating. The Trillium Lake loop trail circles the alpine lake and presents astounding views of the mountain. Lake Oswego Farmers Market. Every Saturday during the summer months you will find approximately 80 different vendors selling fresh fruits, vegetables, jewellery, coffee, ect, alongside live music. Blue Sky Rafting. Get your thrills rafting a half day down the East Fork of Hood River. Mt. Hood Cultural Center and Museum. Exhibits include the evolution of skiing on Mt. Hood, and early pioneers and the exploration of Mt. Hood. Mt Hood Skibowl Adventure Park and Alpine Slide. The main attraction sends you flying down the mountain side twisting and turning through mountain meadows. Take the northern section of Mount Hood Scenic Loop, a spectacular drive that connects Mt Hood, Hood River, and Portland through quiet villages and some amazing waterfalls. This route will take you past The Bridge of the Gods and Multnomah Falls, a 611-ft roaring waterfall. Trade in your hiking shoes for a little taste of city life when you drive south-west for 1.5 hours into Portland Oregon. Ranking among the top restaurants per capita in the US, you will find no shortages of places to eat in Portland. Here is a fantastic list of the 38 essential restaurants in Portland ranging from fine dining to food trucks and street food. Visit Washington State Park. In the 410-acre park you can visit an arboretum, Japanese gardens, a children’s museum and a zoo. Explore an Urban Forest Reserve. West of downtown Portland is one of the largest urban forest reserves in the U.S. This park has 70 miles of walking trails and overlooks the scenic Willamette River. Visit the “Portland Penny”. The coin from the historic coin toss that decided Portlands name is on display at the Oregon Historical Museum. Take a trip to The World Forestry Center. Change the way you look at trees and learn about environmental sustainability. Take a virtual tour of Brazil, Russia, China, and South Africa to learn how people are dependant on their forests all over the world. Experience the Portland Art Museum. This museum is the seventh oldest in the country and its collections include Native American artifacts and English silver. Visit The Oregon Jewish Museum and Center for Holocaust Education. Learn the lessons of the Holocaust and visit the Memorial to pay homage to those who lost their lives during that period. Explore the Oregon Museum of Science and Industry. This museum offers more than 200 interactive exhibits including a chance to tour a submarine that was in active service between 1959 and 1990. No RV rental road trip would be complete without a drive up the Pacific Coast. From Portland, drive west until Tillamook where you can connect to highway 101. From here follow highway 101 north and enjoy the scenic highway and all the picturesque coastal views. As you continue north you will pass through some great winding roads in Oswald State Park. Here is some more information about where to take lessons or find more advanced waves. Long Beach. Stop by in July to watch SandSations, the annual Long Beach sand sculpting competition. Stretch your legs at Lewis & Clark National Park in Naselle where you can learn about the heritage of America’s first peoples and the exciting stories of the European explorers. In Raymond Washington the road turns northwest and the coastal views end and you begin to drive through beautiful pine groves. Continue northwest until Tacoma and finally north to Seattle where your Washington-Oregon Loop RV rental road trip is complete. In addition to this article check out the articles below for more information. If you are looking for an airport RV rental from Portland Oregon you are in the right place. 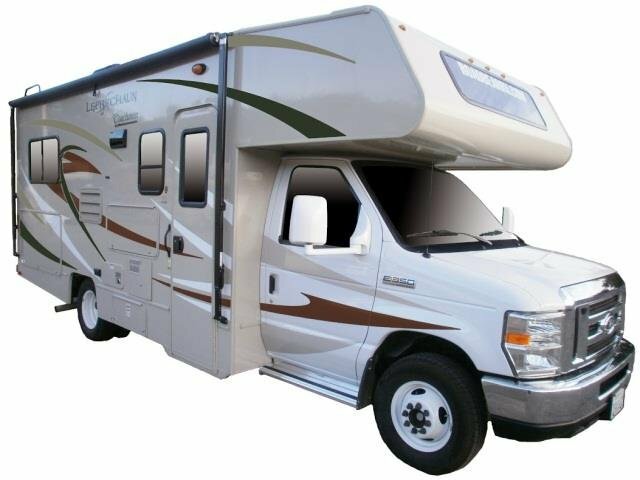 USA RV Rentals has locations close enough to the Portland airport (PDX) so that picking up an RV is convenient if you are starting your vacation from the airport. Some RV rental companies may make you spend the night in an airport hotel if you are flying in from an international destination or you may just want to start fresh in the morning. Check your terms and conditions to see if a shuttle is available from your hotel or the airport to the RV rental location. 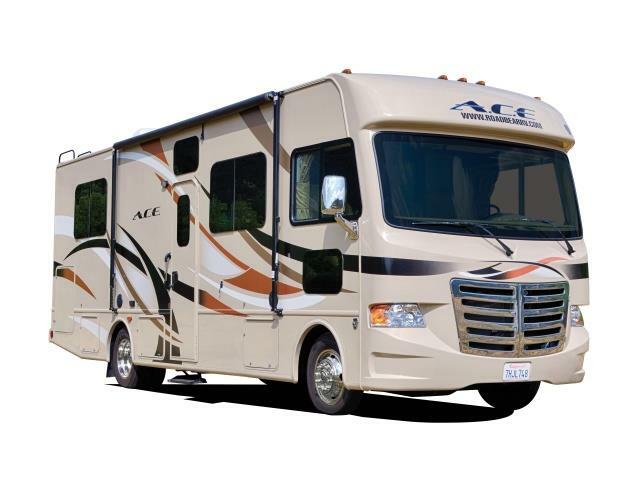 USA RV Rentals has the perfect airport RV rental from Portland Oregon. Rent an RV and travel Oregon, “The Beaver State”. Oregon RV rental vacations are packed with extremely beatiful sights in all of Oregon’s seven regions: the Coast, Portland, Mount Hood / Columbia River Gorge, Willamette Valley, Southern Oregon, Central Oregon, and Eastern Oregon. Recreational opportunities will be presented in abundance while driving through the state in your Oregon RV rental. You could go on a llama trek, or downhill skiing in the morning (all year), whale watching, rafting, hiking, deep-sea fishing, or windsurfing. Recreation is the #1 reason to visit Oregon. Aside from Oregon’s natural beauties and wonders, of course. Your Oregon RV rental will pass by deserts, rain forests, beaches, volcanoes, big cities, and old-fashioned towns. The cities and towns you and your RV will visit will be filled with incredible history, art, culture, and shopping. There will be sightseeing everywhere, no matter where you are in Oregon. Oregon contains 400 miles of Pacific coastline beaches and dunes which are all open to the public for vacation enjoyment. There are plenty of full service campgrounds available along the coast where you’ll be able to park yourOregon RV rental. If you’re renting your RV in Portland, Oregon, you’ll be in Oregon’s most populated city. A Portland RV rental may be one of the best choices here at USA RV Rentals because Portland may very well be America’s best kept secret. Portland has a fascinating collection of iron and terra cotta architecture and a nationally-renowned art museum. Portland offers plenty of events and festivals throughout the year. Drive your Oregon RV rental to the Mount Hood / Columbia River Gorge region and you’ll see Mount Hood (pictured here), Oregon’s tallest peak, standing over the Columbia River Gorge. This is where you can take your RV rental to find year-round skiing and snowboarding. Run-off from the slopes of Mount Hood create an abundance of fruit production in the valley. Waterfalls are also abundant and make that area the USA’s only national scenic area. Visit beautiful Loon Lake, Oregon and be sure and stop by the Loon Lake RV Resort to experience what RV Life Magazine calls “The most beautiful Oregon coast lake you’ve never seen”. Convenient RV Rental pickup and drop off from USA RV Rentals Portland depots provide you the perfect start point to your Oregon RV adventure. Take your Oregon RV rental to the Willamette Valley and you will find the legendary Oregon Trail. Oregon Trail is well known for its agricultural assortment. You’ll also find historic sites and towns from immigrant settlers made over a hundred years ago. The Willamette Valley is also becoming famous for its Pinot wines. Southern Oregon is fantastic for taking your RV rental to historic sites, perfect fishing spots, or the Oregon Shakespeare Festival. In the Klamath Basin, you’ll see seven wildlife sanctuarys with a vast amount of bald eagles. Crater Lake National Park contains a surplus of volcanic attractions, including the magnificent Crater Lake. For those who wish to have their Oregon RV rental vacation in the sunniest part of Oregon, travel straight to the center of Oregon. The geography here is desert-like, but if you look out your Oregon RV rental window, you’ll see snow-capped Cascade Mountain peaks. Natural wonders like the Smith Rock State Park, Lava Lands, and Newberry National Volcanic Monument exist here and must be seen. Eastern Oregon takes up most of Oregon and showcases Oregon’s true historical past. If you wanted an Oregon RV rental vacation filled with exploration, this is the place to go! Eastern Oregon contains huge, wide open land that’s just waiting to be discovered. See our RV rentals in Oregon.